The ULISSE COMPACT THERMAL positioning unit offers an integrated solution for vision even in total darkness, fog, rain, heavy smoke. 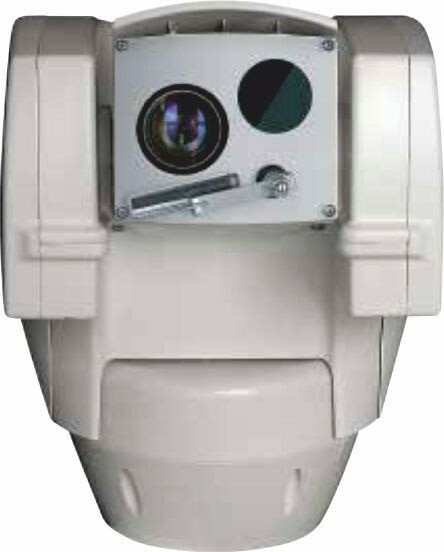 For its reliability, robustness and accuracy, it can be used for a wide range of day/night surveillance systems, such as: monitoring and rescue in the event of a fire, public safety, the anti-intrusion monitoring of ports, coasts, rivers or dams, along with airport, industrial and environmental surveillance. This model offers a dual independent video output with an advanced thermal camera and a day/night module, factory-aligned and installed within the same housing. The two cameras provide high quality images regardless of the lighting conditions. The area is always monitored, thanks to the speed and detection accuracy of the target. The Pan&Tilt has a function of continuous monitoring and correction of its position: this is useful in case of difficult operating conditions, such as strong winds or vibrations. The easy direct access to the terminal block allows a fast wiring of the pan & tilt unit without using the junction box. For the event management a large number of alarm inputs are available.